Small retail area providing basic “commuter emergency items” from toothpaste to bicycle accessories. * Simple and convenient – when laundered clothes are returned to our premises your clothes are valet back to your individual locker by our reception staff. Fully secure facility with electronic pass card access, CCTV monitoring and fully staffed. Second line of electronic security to separate male and female facilities. Non-slip flooring treatment to all areas. Clever, state of the art German racking system ensures your bike is stored safely and that it is in the same condition that you left it in so you don’t have to worry about it while you are at work. Plentiful showers so that you don’t have to waste time queuing. The showers are thoroughly cleaned daily and kept immaculate. Your membership includes use of a fresh towel daily. Individual personal lockers allows you to store up to a week’s business clothes, as well as your toiletries, shoes, etc. The air-conditioned locker rooms are also equipped with irons and ironing boards, as well as drying racks for your riding clothes to ensure a comfortable ride home. To ensure your bike remains reliable and enjoyable to ride year round, our onsite GO TREADLY GO bicycle workshop will ensure your bike receives the love it deserves. 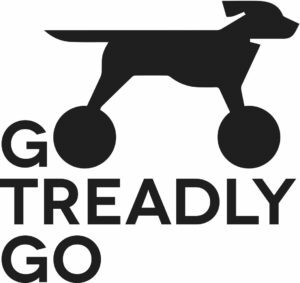 GO TREADLY GO not only service and repair all types of bikes, Garry will fit and tune sourced parts and accessories to keep you and your bike happy and enjoying all that cycling has to offer. You can find us by clicking on Google maps.